Cibai, a word that is so well known and spoken among Malaysians and Singaporeans. Or you can mimic Phua Chu Kang, "best in Malaysia and Singapore, some say in Taiwan". Taiwanese variety show even had some "classes" about cibai over here and here. If you need an official definition of it, Wikipedia-Malay has something about it, or you can find it at Urban Dictionary in English explanation. Good enough to make you clear? What do you think? (I know you!) Neh neh! Dirty minded! I am an Apple fan condemning Micro$oft? Nope. I love Apple but practically I prefer Micro$oft for greater compatibility in day to day use. Microsoft products pissed me off? Nope, at least not to the extent of yelling that word in the public. So what am I up to about cibai??!! I am stunned to know that Microsoft has its own definition about cibai. Nope. I didn't make this up! Check out this website with publication about Cibai from Microsoft. Look at the URL, it's Microsoft Research website and above is an excerpt from the research paper. My goodness! 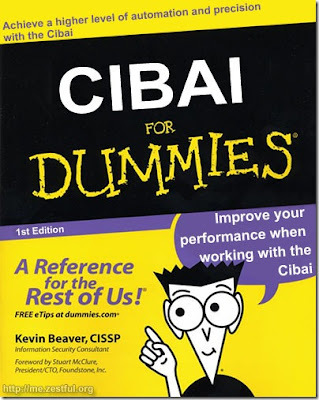 I didn't know an IT corporate like Microsoft even researched on "cibai"! Perhaps they should have hired Tiger as consultant whom according to papers, has done quite a thorough "research" on ci... err... the same "thing". LoL! Enough cibai talk? Now I would love to move from infrastructure to application/developer/programmer role in my job, so that I can cibai here and there in front of my bosses. And perhaps my title could be "Senior Cibai Programmer". Haha! Hahahaha... I wonder how the Americans pronounce it!